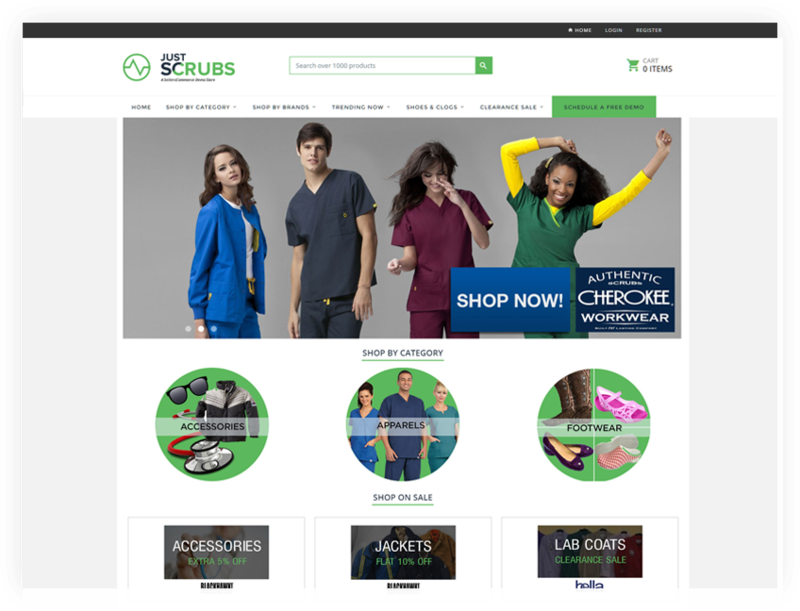 eCommerce solutions from the uniform industry experts. We've created Brand Syndication. You, the manufacturer, have the tools to easily load, manage and view your catalogs online. Retailers in your syndication receive your product data, images and marketing promotions automatically. It's so easy. Our Brand Syndication is a revolution in the way your products are presented to the world. Our unique Content Management System gives retailers the simplest tools ever for building online stores. Choices and flexibility abound. Feature a manufacturer's entire catalog, just one product and everything in between. And with our Brand Syndication, manufacturer updates to your store are instant and automatic. 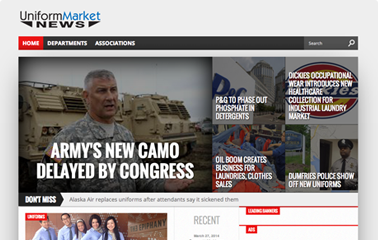 UniformMarket is the platform designed to help manufacturers and retailers work together. Manufacturers load their catalogs. Retailers build their stores. Manufacturers instantly track retailers activities. Retailers instantly update their stores. Everybody wins. We've Thought of Everything for Uniform Retailers. We offer the best stores for the uniform, footwear and gear retailer on the internet. Our Content Management System is so easy to use with countless options, features and widgets that allow you, the retailer, to customize and manage your eCommerce sites yourself. With Preferred Groups you can offer your B2B group, corporate and government accounts a simple way to purchase from you. This popular "store within a store" function allows custom pricing, embellishment and embroidery options for each account you setup. Enjoy Brand Syndication services so when a manufacturer updates their catalog, that update automatically appears in your store. Add an entire catalog to your store, or just the items you choose to sell. Manufacturers will then keep the product up to date automatically. They look great. They work even better. Easily manage simple and ultra complicated uniform programs with the B2B Program Manager. Our experience helping to launch thousands of online stores to manage uniform programs makes us the experts in crafting solutions for everyone from the largest national corporations to local single location. Setup Employee Groups to manage purchasing agents, supervisors and employees. Use Product Groups to organize what shoppers see after login. Run Payment Groups to make allowances, quotas and credit card rules a snap. Making sure the employee orders the right items quickly and efficiently is what a B2B Online Private Store offers. The platform includes more than 500 configuration options to accommodate managing even the most complicated uniform programs. They work great. And they look even better. 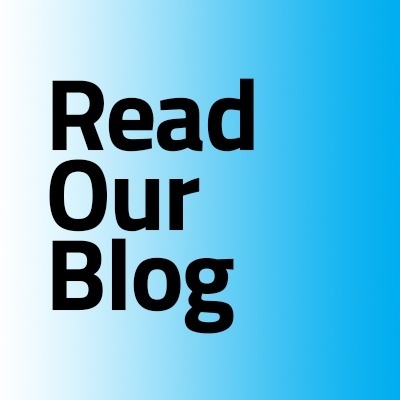 We're putting manufacturers in charge with Brand Syndication. 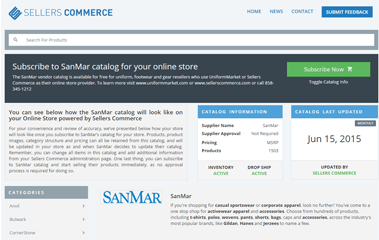 Load products, manage and view catalogs. Retailers in your syndication get your product data, product images, pricing and promotions automatically. SMARTstores give manufacturers ultimate control. Manufacturers build stores for retailers. They look like typical retailer stores but are actually run and managed by the manufacturer. Products can even be drop shipped directly to customers from the manufacturer, streamlining the sales channel even more. We're giving manufacturers instant analytics. Check out sales and retailer activity, customer demographics, even MAP violations with our easy to follow analytics reports. It's easy for your retailers to place their wholesale orders with Retailer B2B sites. No one has more experience building private stores and we're constantly innovating to keep those orders flying out the door. No one has more knowledge of the Uniform, Footwear and Gear industry than UniformMarket. 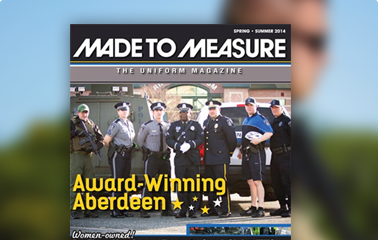 For 85 years, we have published Made to Measure Magazine, the industry's foremost journal. We began building websites and managing online catalogs for industry leaders more than 11 years ago. And now we're partnered with Sellers Commerce, the experts in eCommerce. Together we are bringing unparalleled expertise and innovation to you everyday. 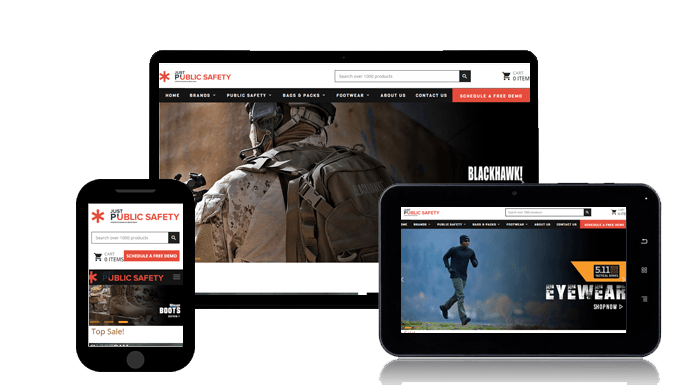 Our responsive designs adjust automatically to tablets, phones and big screen tvs. We're going where you go, where your customers go, and where the future goes..
Let our numbers do the talking. There are 150 suppliers managing their catalogs on UniformMarket. We feature 200,000 products on UniformMarket. 4,000,000 employees order their uniforms on stores managed by customers of UniformMarket. Our platform generates over 100 million in sales for customers every year.